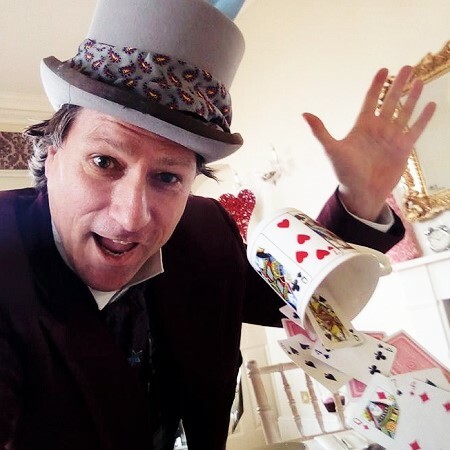 For any Alice In Wonderland themed event with a touch of class you will of course need an elegant yet lively, charismatic and talented Mad Hatter Magician. Allin Kempthorne is a lively and very funny magician who's been performing his jaw-dropping magic all over the country (and indeed the world) to all kinds of audiences for many years, from small parties, dinners and barbeques up to massive corporate or sporting events in some of the worlds top venues. 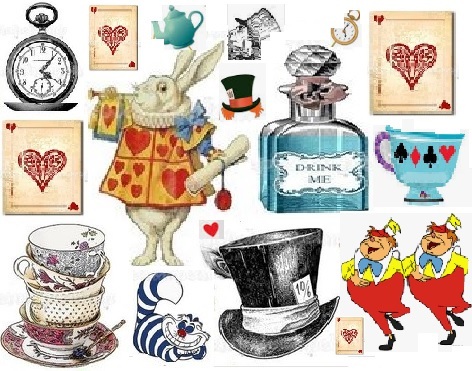 He embodies the character of The Mad Hatter with a natural English Victorian charm. 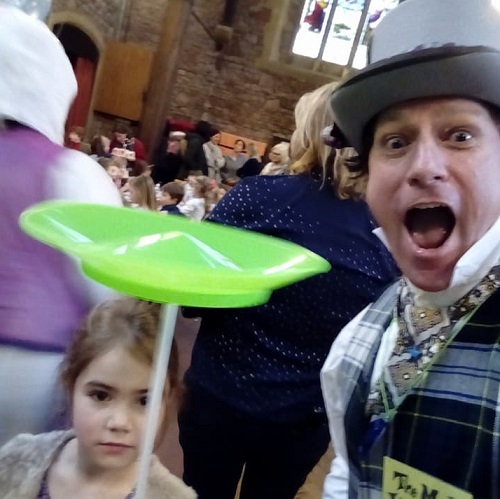 His incredible wit and banter plus his energetically crazy style perfectly complement his amazing magic and sleight of hand skills and to leave you and your guests fascinated, thoroughly entertained and grinning like a Cheshire Cat! 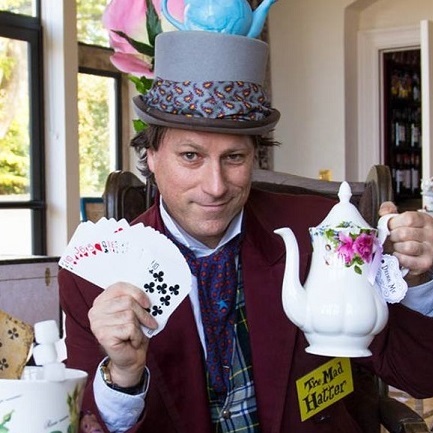 Allin Kempthorne was the resident (and very popular) Magic Mad Hatter for the Tea in Wonderland events at Old Down Manor House and Country Park throughout 2018. He has also performed as a magician at venues including The House of Commons, The Savoy Hotel, The O2, plus many hundreds of hotels, cruise ships, tourist attractions, weddings, corporate events and private parties throughout the UK and beyond. We don't have a video of Allin performing in character as The Mad Hatter (we really must get around to doing that!) but we know you want to see what he's like. So here's a video of him performing as himself so you can see how great he is at making a lively and magical impression on your guests. Even without the Mad Hatter top hat, teapot and tailcoat! 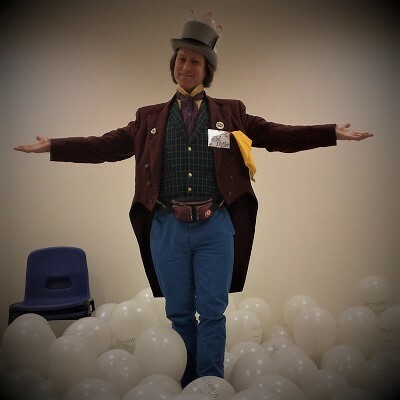 Allin Kempthorne also performs as The Mad Hatter for family magic stage shows, juggling, character hosting and children's events. 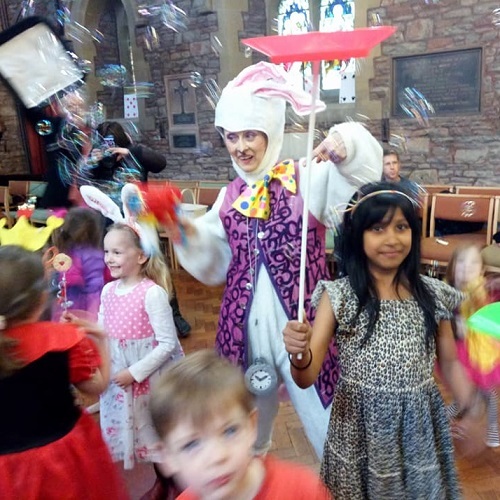 We can also provide you with a second performer as The White Rabbit for balloon modelling, children's games and character hosting. 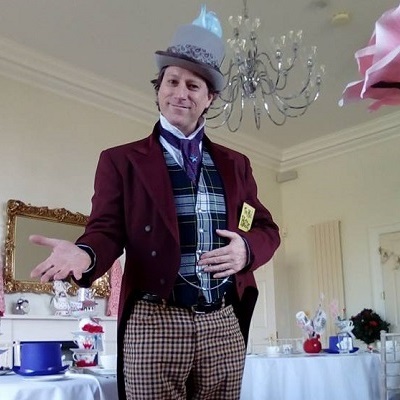 So you want to book the Magic Mad Hatter or ask him what he can do for your wedding, party or event? Give him a shout at info@thekempthornes.co.uk. 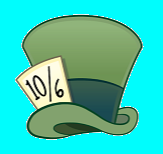 You'd be mad as a hatter not to!